On Tuesday, January 27th Oceana Belize launched a national program to highlight local establishments who are responsibly sourcing seafood. Government officials and private sector representatives convened in Belize City to launch a program brand and certification mark entitled ‘Fish Right, Eat Right.’ The program will be backed by an educational campaign providing incentives for fishers, retailers, restaurants, and consumers to promote and support the harvest, trade and consumption of sustainably and legally caught seafood. The main purpose of the initiative is to curb illegal fishing and promote best practices in fisheries by providing marketing incentives throughout the supply chain via the promotion of responsible seafood consumption. The program emphasized that those establishments that demonstrate knowledge of a compliance with the Fisheries Regulations will receive special recognition, and responsible fishers who comply with the Regulations will also have preferential access to these reliable markets. 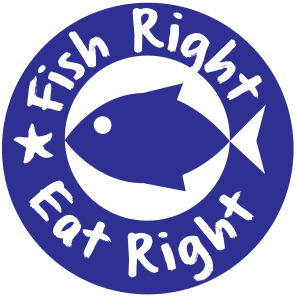 According to a press release by Oceana, the brand ‘Fish Right, Eat Right’ is initially targeting restaurants and hotels, and will expand to include cooperatives, fish markets, supermarkets and other seafood purveyors in the future. A marketing campaign for tourists and the general public will soon follow, helping restaurants identify alternative seafood options for consumption that can help reduce fishing pressure on species that are overexploited, threatened or endangered. The local brand will highlight establishments sourcing seafood responsibly and fishers harvesting seafood sustainably. The program has been well received among the culinary professionals around the country, including San Pedro. Executive Chef at Elvis Kitchen Jennie Staines was glad to be present during the launching of the program. “I’ve taken the time to teach people who do fishing in San Pedro, because I’ve been brought angel fish as snapper. I’ve been brought tilapia as snook or grouper and barracuda as snook. And we’ve been working very hard; a few of us in San Pedro. But I’m so happy about this because at Elvi’s, I try to practice the correct thing; we fish right and we eat right,” said Staines. The assurance that customers will be getting their seafood from a responsible source will be encrypted on the restaurant menus, bearing the ‘Fish Right, Eat Right’ symbol. The initial requirements for receiving recognition for the certification demands a series of specific components: Education, Compliance and Transparency, Promotion and Awareness and the Purchase of responsibly-sourced seafood. The local establishments obtaining their certification will be fully aware of the Belize Fisheries Regulations and sustainable fisheries management. They will work along with the data collection program of the Fisheries Department and display educational material that highlights the Fisheries Regulations and other sustainable fisheries management initiatives. Oceana has partnered with the several organizations in implementing the program, including the Belize Tourism Board, Belize Tourism Industry Association, Belize Fisheries Department, Wildlife Conservation Society, The Nature Conservancy, and the Environmental Defense Fund.